How do I change the Wi-Fi Password on my router? How do I change the Wi‑Fi Password on my router? This FAQ applies to DIR-868L Wireless AC1750 Dual-Band Gigabit Cloud Router. 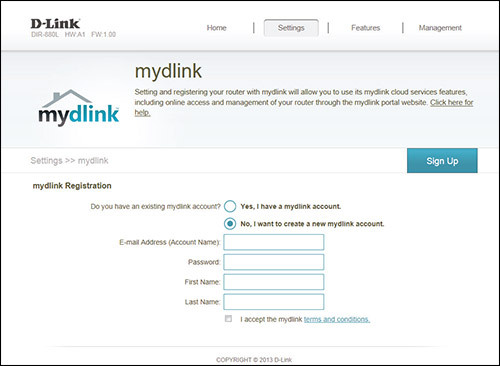 If you've registered your router with mydlink, you can log in to the mydlink web portal at www.mydlink.com to modify your router's settings. 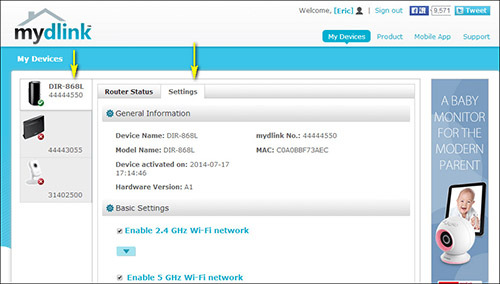 Please go to Method 2 below if you are yet to register your router with mydlink. 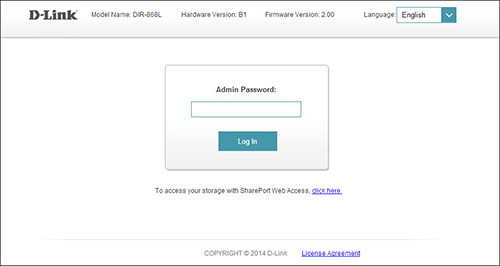 Step 2: Log in to mydlink with your mydlink account and password. Step 3: Choose the router from My Devices and then go to Settings. Step 4: Go to Basic Settings to modify your password. 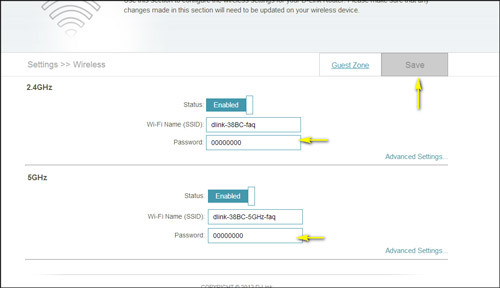 Click the down arrow for the wireless band you wish to change the password for in order to expand the section. Check the Show Password to display the password on your screen. You can enter a new password in this field. Step 5: Click Save when you have made changes. 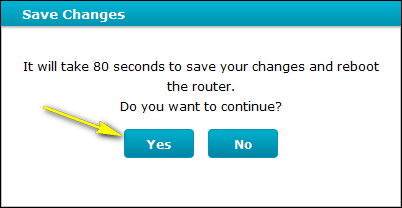 Step 6: Click Yes to confirm the new settings on the router. It will take approximately 80 seconds to save the changes and reboot the router. http://dlinkrouter.local or http://192.168.0.1 into the address bar. Step 2: Enter the password for your Admin account in the field provided. If you have not changed this password from the default, leave the field blank. Click Log In. 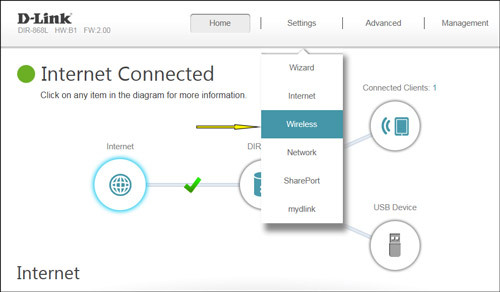 Step 3: Go to the Settings tab and then click Wireless from the drop-down menu. 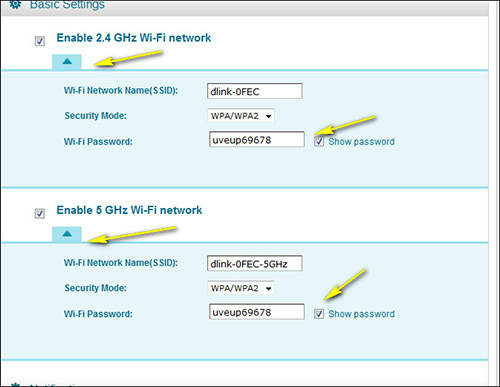 Step 4: In the Password field, specify the new wireless password for the desired wireless band. Your wireless devices will need this password in order to access your wireless network. This may require you to update your wireless device's configuration. Step 5: Click Save to save your configuration. 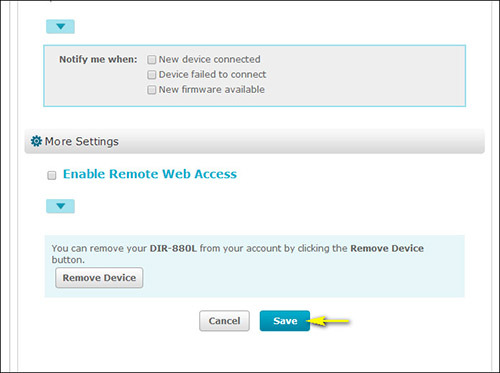 Step 6: Click on the settings tab and follow the log in procedure for your my dlink account. 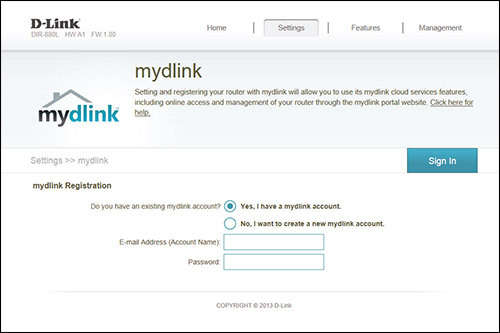 If you do not have an existing mydlink account then you can sign up here and take advantage of the mydlink cloud service features. 4288 people found this useful.